A heartwarming story found its way into my mailbox today. Perhaps you've heard the story. Irena smuggled infants out in the bottom of the tool box she carried. She carried a burlap sack (for larger kids) in the back of her truck. She also had a dog in the back that she trained to bark when the Nazi soldiers let her in and out of the ghetto. The soldiers, of course, wanted nothing to do with the dog and the barking covered any noises made by the infants and children. During her time of doing this, she managed to smuggle out and save 2500 kids/infants. She was caught, and the Nazis broke both her legs and arms and beat her severely. Irena kept a record of the names of all the kids she smuggled out and kept them in glass jars, buried under a tree in her back yard. After the war, she tried to locate any parents that may have survived in order to reunite the family. Most had been gassed. Actually, the real story is even more interesting. (She was actually a social worker who went into the Warsaw Ghetto to keep tabs on typhus outbreaks, and she sent kids out in packages and suitcases.) But here's what came at the end of the email I received. Last year  Irena was up for the Nobel Peace Prize. She was not selected. Al Gore won, for a slide show on global warming. 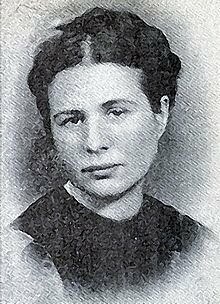 Now, I will grant that Irena Sendler, like Oskar Schindler, Miep Gies and others, was brave, bold and compassionate. Especially for the sake of the children. But right now, we must all be brave, bold and compassionate for the sake of all future generations. We must be looking ahead. We don't have to forget the past, but we must put our energies into safeguarding the future. Al Gore did more than "a slide show on global warming." He brought the global climate change emergency to the attention of the whole world. That was no small feat!